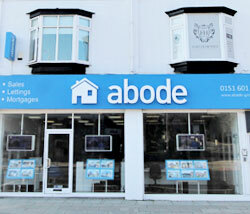 Why choose Abode? What makes us different? Abode was formed two years ago by four guys – all landlords and property developers themselves, who were fed up using other agents to let and manage their properties. Having previously let their properties via local agents, it was clear their service was average at best. So much so, they opened their own letting agents. The phenomenal success of Abode in such a short space of time is as a result of knowing exactly what landlords want, deserve and expect. To suit busy professionals who can only view properties at the weekend. To allow us to do viewings and meet possible tenants outside of conventional working hours. 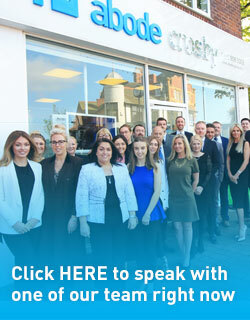 Our Liverpool offices stand out from the crowd. We understand the modern estate agent requires a cutting edge look, which is why we have invested so heavily in the aesthetics of our offices. We know our clients expect a professional look to go hand in hand with a professional service. We know exactly what it takes to keep our customers happy- after all, our directors are our landlords too. Our staff are highly trained and really friendly. They understand the market and understand what it takes to let your property. When we meet you, we will find out exactly how often you would like us to speak to you, as well as give you accurate and honest feedback after all viewings. 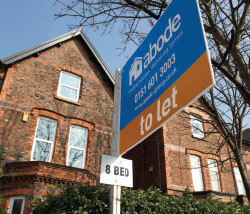 Who better to manage your property than people who actually manage their properties through their own lettings agency? In allowing us to manage your property, you are tapping in to a wealth of knowledge and experience. All our staff are well trained, polite and most importantly, qualified. All are sitting or have sat and passed the ARLA qualification. Our lettings agents are in branch to help find tenants, and our property management team are based in Crosby branch; their sole aim is to keep both you and your tenants happy. We market conventionally through traditional local press but we also use all forms of social media to help us interact with our customers. Our website is user friendly and specifically designed to attract buyers. Abode have partnered with Morecroft’s solicitors to offer in house legal services to all our landlords in both Crosby & Allerton. 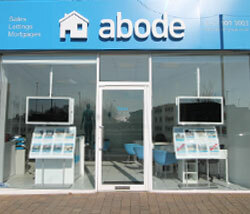 We don’t need to charge any upfront costs because we are confident that if you choose Abode, we will let your property. We can offer a rent guarantee to our landlords. We go the extra mile to protect you. We fully credit check, as well as get employers, landlords and character references. We also fully check bank statements and wage slips to ensure applicants are who they say they are. Utilising the latest technology, we digitally record your property’s condition. The photographic evidence is used when the tenants move in to verify the condition of the property. As a landlord, this saves so much hassle when the tenant decides to leave as we have a full recording of condition at the start.